Buy Green City Dried Basil - 12g in the UK from our online shop or directly from our independent Scottish store. Use dried basil on top of pizza's or stuffed into sandwiches. Where can you buy real Basil - 12g safely online? If you are wondering where you can buy Green City Dried Basil - 12g safely online in the UK, then shop with us. 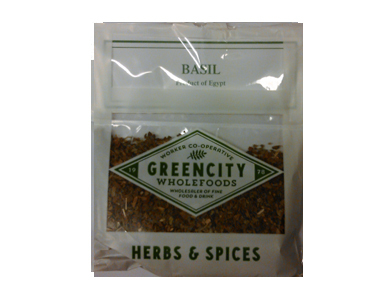 Basil - 12g - Green City Dried Basil - 12g in Herbs & Spices and Herbs, Spices & Salt.